The School of Architecture has announced the creation of the Harry der Boghosian Endowed Fellowship Program. This transformational gift makes possible a one-of-a-kind fellowship designed to give faculty members, early in their careers, the opportunity to spend a year developing a body of design research while teaching at the School of Architecture. The gift, the largest in the school’s history by a living donor, was made by Paula der Boghosian ’64 EDU to honor her brother, Harry der Boghosian, a 1954 graduate of the School of Architecture. Der Boghosian Fellows will play a significant role at the school, providing students with the opportunity to collaborate on projects while developing a unique design research project that both advances their work and career and contributes to the intellectual and design life of the school. 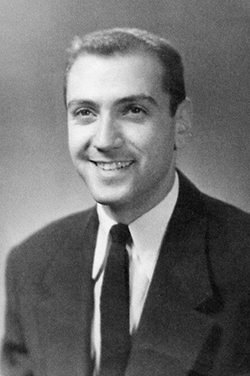 Der Boghosian served in the U.S. Army as a communication specialist in Landshut, Germany. After his return, he worked at two Syracuse firms—Sargent, Webster, Crenshaw & Folley and King & King Architects. In 1970, he became a tenured faculty member at the University of Arizona in Tucson, Ariz. 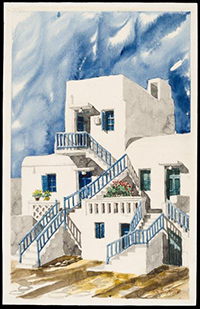 In addition to his many awards and achievements in the field of architecture, der Boghosian published a book on the fountains of Rome featuring his photography titled “The Fountain Festival of Rome.” He was also an accomplished watercolor artist and avid world traveler. Today Is the Day to Boost the ’Cuse!